There's a brazilian author (Luiz Alfredo Garcia-Roza) who writes stories about a detective called Espinosa. In one of his books, Espinosa describes his "no-shelf shelf", which is quite like your Tetris model. Love it, one of my favorites Grant! My favorite shelf is the floor. 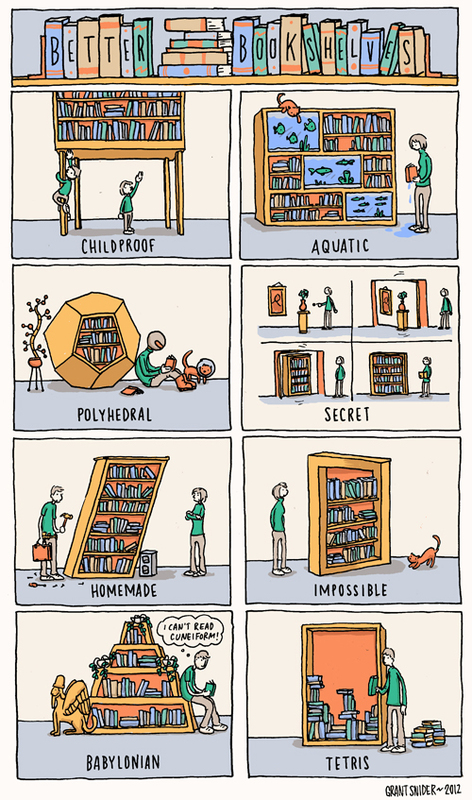 I want a secret bookshelf! I want nearly all those book shelves. Love it.